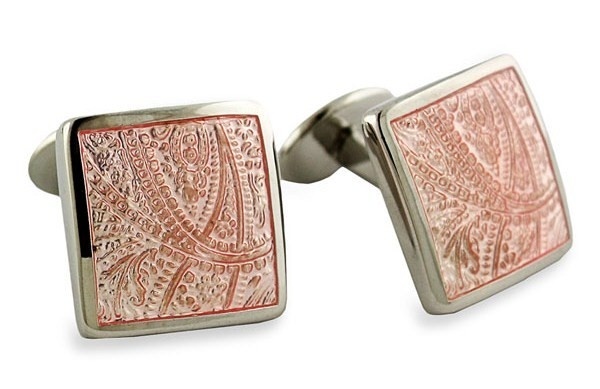 Add some subtle colour and pattern to your look with these David Donahue paisley pink cuff links. Luminous enamel is etched with a paisley design and cast in sterling silver to produce these fine accessories. Made in the U.S., you can order them online through Nordstrom for a distinguished touch to your ensemble. This entry was posted in Accessories, Cufflinks and tagged David Donahue. Bookmark the permalink.